Comment: Remove shrubs in front of house. 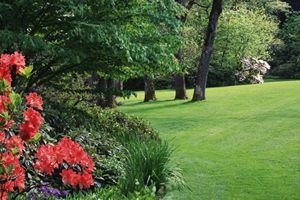 Replace with 2 pencil shrubs and 1 rhododendrum shrub. Use chipper to remove debris and branches from back yard. Comment: Front and back yard bush/tree review, removal, replace as needed. Rear yard pavers around hot tub, extend into yard for seating with possible fire pit. Three retaining walls repair and/or replace. Clean up of weeds/small trees growing wild and encroaching on back yard. Possibly look at lighting installation . Johnston Landscaping Companies are rated 4.80 out of 5 based on 364 reviews of 10 pros. Not Looking for Landscaping Contractors in Johnston, RI?